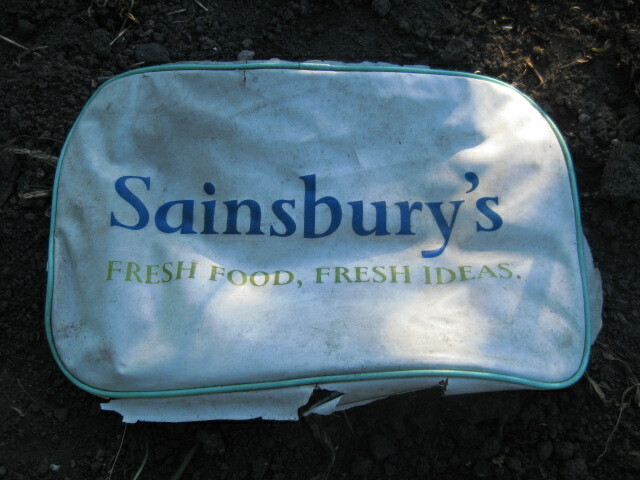 Allotment owners are known for re-using and recycling otherwise throwaway items in the plot. As well as the items below we have an old bath for rainwater, and old kettle for watering and some large plastic tubs for rainwater/comfrey feed. 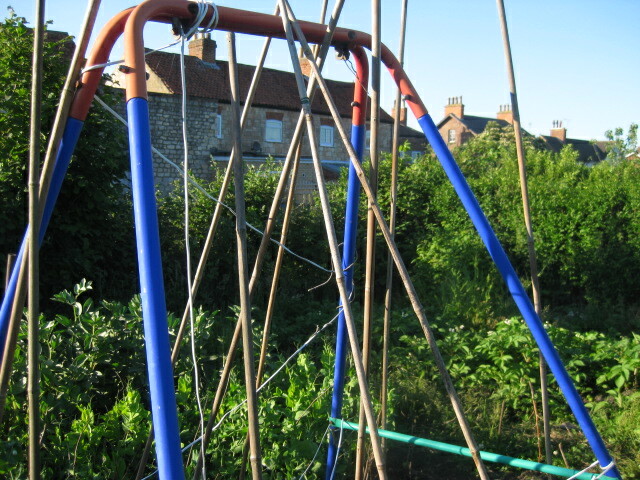 This old swing frame was given to us by a friend and we use it to provide an ideal structure for beans to climb up. 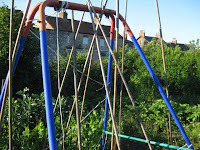 In the middle we have added some canes to give extra support and climbing opportunities! 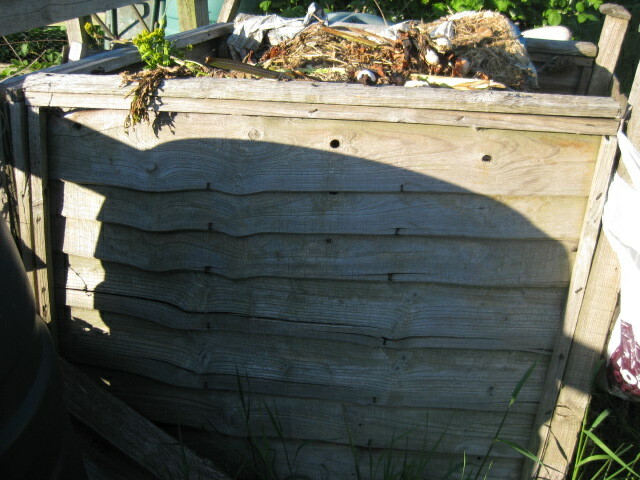 This compost bin was made from old fence panels from the garden. The fence kept blowing down so we replaced it with a hedge and used 4 panels to made a large compost bin. This kneeling mat was made from an old cool bag, the advertising is unintentional!